I was thinking it might be this one, but I thought that was too obvious. So as mentioned, I have a code for Spider-Man: Into the Spider-Verse in 4K. As PhoncibleBone noted, Vudu does a thing where you can pre-order the disc copy (same price as Amazon), and it was instantly added to my library. So I had a 4K Dolby Vision digital copy on MoviesAnywhere, and a PURE EXPERIENCE UHD DISC with a spare code. It's also on sale this weekend, but if you want to save the $13 and put it towards an expensive Italian lunch or something, try your hand at this! 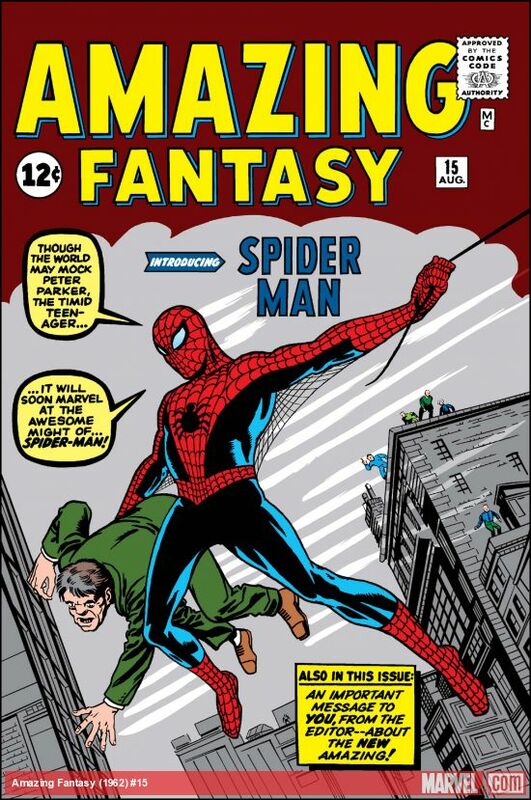 Contest is pretty easy/simply: post a rad Spider-Man cover. No specific criteria -- I'll just pick one around noon Pacific tomorrow. 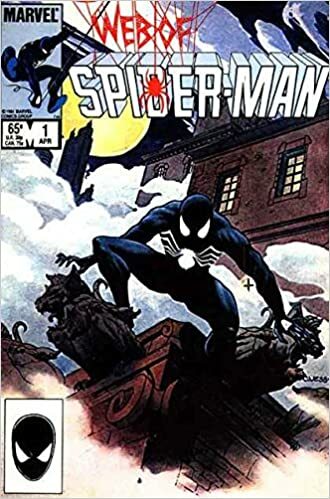 The first Spider-Man comic I read. There's a hint in my winning Bumblebee entry, and it's been featured in one of the movies. Really, I just like the priest's line. The first Spider-Man comic I read. There's a hint in my winning Bumblebee entry, and the issue has a moment that's been featured in one of the movies. Update that I'm dumb, and forgot to take a pic/transcribe the code itself, so I won't be able to PM the winner at noon. I'll get it when I get home tonight (around 7pm Pacific), which means this contest goes until this evening on the West Coast. Some sweet covers so far! I also made a minor tweak to my hint. Ding ding, you hit the instant win image. PM heading your way. Like the Shockwave Transformer cover I posted for Bumblebee, the summer of '85 was when my cousin took me to the comic store and I gravitated towards this as my first Spidey. Featuring the black suit in a striking painterly style like how Shockwave was painted made me want to pick it up and read/open. Plus, this is has the part where the church bells mess with the symbiote (as seen in Spidey #3!). Honorable mentions to leaving the costume in the trash (Spider-Man No More! 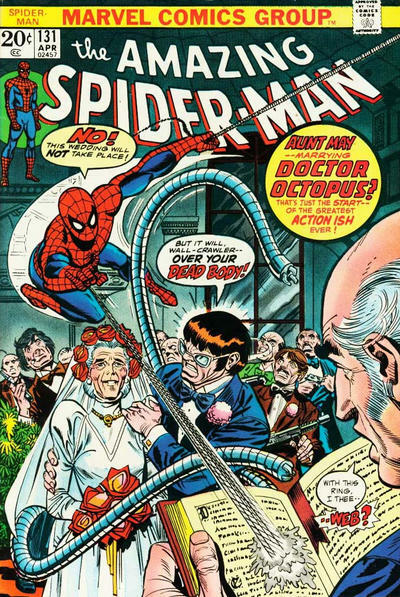 ), the wedding one with the priest's random line, and the Secret Wars cover with the black costume. I would have tried some elaborate formula to pick among those three if the above wasn't posted. I'd love Taxi Driver. Thanks much!!!! Slickdeals shows Vudu giving $5 credit for converting 10 discs to digital. Runs until 4/21. Nice heads up. Need to see if I still have ten to convert! It's a good deal if you need to catch up on your collection but I still remember the convert 10 for $10 days. $20 and get a $5 credit. You used to do so much better VUDU. Did somebody say "Bad Triva"
SBK, hit us with it! Is the missing "I" the clue? It’s not bad times at the el Royale is it? I can't imagine SKR being that literal. He doesn't think that way. Sometimes if you just toss out a title you might be right. Am I missing something, or is this the clue? Hello, I come here with a $12 Fandango ticket code good for use on any movie! What's your favorite movie moment from the mid to late 2010's, everybody, in gif or video form? I'll pick the best post in a bit! Hello, I come here with a $12 Fandango ticket code good for use on any movie! What's your favorite movie moment from the mid to late 2010's, everybody, in gif or video form? I'll pick the best post in a bit! Just be sure to quote this! A masterpiece and damn near religious experience each viewing. Been a Mad Max fan since seeing Road Warrior in early 80s, and I was not ready for Miller unleashed. He finally had the technique, money, and technology to do his world justice. Ok, little more out there... the happytime murders? In terms of recent films, I found this to be the perfect ending to an unforgettable film. Lady Gaga really came into her own as an actress with A Star is Born. Is there a way to look through another person's Vudu library like you can look at a person's Steam game list? You got it!! Such a beautiful scene from a wonderful movie! Thanks everybody else, for playing! PM incoming! Thank you! I think this is the only MCU movie that I haven't seen since the original theatrical viewing and now I'll fix that. HD codes and can be redeemed at moviesanywhere.com. Be fast on those fingers! That Thor code could have fed two members :,( people sharing Disney codes gotta learn how to split them! Jk, you do you. Nice drops! Looks like if you buy a ticket for John Wick 3 today you can get a digital copy of 1 or 2. Fandango and Regal are both offering. Not sure about other theaters or ticket services. I'd bite but the IMAX near me hasn't put up showtimes yet.